Guest post by Dr Cormac O’Raifeartaigh, Lecturer in Physics, Waterford Institute of Technology. His own blog can be found here. I took up my current position at Waterford in 1996. Just back from a position as a postdoc at the University of Aarhus in Denmark, I was on a short-term research contract in Trinity College when I saw a job advertisement for a lecturer in physics in the then Waterford Regional Technical College (RTC). I didn’t know much about the RTCs, but my supervisor and colleagues advised me to take a close look – there is a limited number of academic positions in Ireland for scientists and Waterford RTC had quite a good reputation. There was even talk of a university of the south-east, not altogether fanciful given the then recent upgrade of the National Institutes of Higher Education (one of which became Dublin City University). I applied for the job and got it, despite competition from other physics PhD graduates from Trinity, UCD and UCC. I liked the college from day one, there was a good mix of experienced staff from industry and younger lecturers from the postgraduate schools of our universities. The institution was much larger than I expected, with students from Wicklow, Waterford, Wexford, Kilkenny and Tipperary, and a very positive atmosphere. The atmosphere improved further when, soon after my arrival, the college was upgraded to the status of an Institute of Technology by the then Minister for Education, Niamh Breathnach. This upgrade was the outcome of a lengthy external evaluation process of teaching and research at the college, and was considered quite an advance at the time. Part of the idea was to give the Waterford college some sort of special status along the lines of DIT, because the south-east city and region had no university. However, other RTCs felt slighted and Waterford’s upgrade triggered campaigns to upgrade other colleges, notably in Cork RTC (a very good college) and Tralee. Within two years, all of the RTCs had been upgraded to Institute of Technology status. Investment in capital and resources for higher education is never a bad thing, but from Waterford’s point of view it was no longer clear what the upgrade really meant – in a sense the region was back to square one. In addition, there was no plan to change work practices in the college, e.g. reduce teaching hours in order to increase research activity. It seemed the ‘upgrade’ had been downgraded to a name change. Over the years since, the teaching load in the institutes actually increased, from 16 contact hours per week to 18, a very high level that is close to that of secondary school teachers in many countries. At the same time, many of the level 6 and level 7 courses at the college were replaced by degree programs, requiring more challenging preparation. The institutes are often criticized for this latter development (‘mission drift’), but the change was mainly driven by the changing expectations of employers. As for the question of a university for the south-east, it has persisted throughout my career at Waterford, rising and falling in tandem with the fortunes of various politicians and their parties (for example, the question was put in cold storage during the tenure of Minister for Education Batt O’Keeffe, a former lecturer at Cork IT, but taken up with great energy by Minister Hogan, who hails from Kilkenny). Readers of this blog will have read about the issue a hundred times, so I will try and pick out a few points rarely mentioned: 1. Most academics in WIT and elsewhere consider the binary system of universities and institutes of technology a good one. The IoTs were designed to cater for students that often need more intense teaching than their university counterparts, and the complementary system has helped produce graduates in science, engineering and computing. It is very hard to see an argument for 20 Irish universities. 2. However, many education experts (such as Ed Walsh, founder of UL) agree that Waterford is something of an anomaly. The city was unlucky not to get a university in the 1850s, an oversight that surely contributed to the decline of a once major city. This decline persists today – Waterford and the south-east region are one of Ireland’s biggest black spots in terms of education, unemployment, lack of investment and emigration. Because there is no university to serve the city and the region, there remains a strong tendency for the best secondary students to migrate to the larger cities, never returning. This constant braindrain affects the region in many ways – most obviously, it is difficult to persuade industry to invest in a region without a university, completing a vicious circle. 3. Media commentary on the issue almost invariably takes the form of a ‘universities vs institutes’ debate with no mention of regional concerns. Thus the tricky question of regional needs is often framed simplistically as ‘institutes that want to be universities ‘ (see this recent article by Brian Mooney in The Irish Times for example). In fact, the quest for a south-east university is not driven primarily by internal ambitions in WIT, but by the local chamber of commerce, the county council and many other such bodies. Many lecturers at WIT have mixed feelings on the subject, not least because the pressure to do research is much more intense in the university sector. That said, a small number of research groups at WIT have been very successful despite the heavy teaching loads (I try to give a flavour of this challenge in my own recent article in the Irish Times). 4. It is also often suggested in the media that ‘institutes should stick to Certificates and Diplomas’ (see Brian Mooney’s article above for example). WIT is quite focused on employers and our experience is that employers expect and demand degrees for many years now (‘society drift’, if you like). Another factor is the standard of students – because WIT is the only higher education college in a large region, CAO points for courses tend to be quite a lot higher than in some other institutes. 5. The latest plan for the south-east is for WIT and IT Carlow to submit a joint application for technological university status, a strategy suggested by yet another government report (the Hunt report). One can see the sense of this from the point of view of a regional argument, i.e. providing university-level education throughout the southeast. However, it is true that Carlow scores lower than WIT in most of the usual metrics for higher education (demand for courses, research activity etc), so it’s not clear that merging the two colleges improves Waterford’s bid academically. 6. So is all this talk of a university for the south-east just parish pump politics? As a Dubliner, I would argue that it may be an example of the opposite – since Waterford has very little political clout at national level, it be a continuing case of national politics trumping regional needs. While a university would make a big difference to the region, it would also result in great political pressure to upgrade all the other institutes (as happened the last time). Governments tend to avoid such obvious own goals so a university upgrade seems challenging, regardless of regional needs or academic achievements. Wherever two or three Eurosceptics meet to argue it out with supporters of the European Union, you may expect that at some point the conversation will turn to the curvature of bananas. The Eurosceptics will claim that EU law requires bananas not to be too bendy, while the EU supporters will insist that this is a myth put about to discredit the Union. Actually, it isn’t altogether a myth, to the extent that Commission Regulation 2257/94/EC, which came into force in 1995, provides that some bananas (so-called ‘extra class’ bananas) may not have anything more than ‘slight defects of shape’ and may not have ‘abnormal curvature’. EU supporters sometimes claim that this was repealed in 2008, but actually Regulation 1221 of 2008 does not make any reference to the above provisions. The nature of EU regulations was more recently the subject of more unflattering commentary when the Commission proposed and then abandoned the idea of banning restaurants from using refillable jugs of olive oil. As the future of the United Kingdom’s membership of the European Union is debated with more and more urgency, and as discussions about the mission of the EU also also become more common in other member states, the question is increasingly asked whether the EU ideal has become submerged in avalanches of unnecessary bureaucratic interference. This is probably at the heart of the debate in the UK, and Britain’s continuing membership may depend on the extent to which a reform of the modus operandi of the Union can credibly be offered. In fact, the volume of EU measures with legal effect is significant. During the first four months of 2013, a total of 4,422 legal acts and decisions were issued. These range from decisions in important cases, to measures such as a regulation on safety control in cosmetics, to a restriction on the use of vitamins and food supplements. One of the reasons why it has become difficult to convince European citizens that they should increasingly take their sense of identity from the EU is because the EU does not display great skill in producing a vision. The relatively simple mission of the original European Economic Community – bind together former enemies and create a common trading area for them – has been lost in the complexity and bureaucracy that the EU has become. The EU is perhaps still supported by a majority of its citizens – though it is hard to say this for sure – but it is manifestly unloved by them. On top of that, it is criticised by the left for pursuing an uncritical protection of free markets, and by the right for undermining those free markets. The time has come for the European Union to take stock of its strategy and methods, and to connect if it can with those whose lives it regulates, which it may find easier to do if it can be visionary without being too ambitious. And it should stop worrying about things like how restaurants serve olive oil. It really does not need to regulate everything. Less is more. Higher education trending: what do students want to study and why? Last month the Irish Higher Education Authority (HEA) published an analysis of the last five years of student applications to the country’s universities and institutes of technology. This revealed some interesting trends. Unsurprisingly, student interest in construction-related courses (including architecture, surveying, civil engineering and planning) has, in the wake of the near-collapse of the Irish construction industry, waned significantly. Over the five-year period to 2013 first preference applications declined by 55.3 per cent. Given that some of the academic departments affected had, only six or so years ago, been dashing for growth during the boom, this has created major problems in some institutions that had seriously over-invested in this field. No other subject area has suffered anything quite as dramatic over the period, but other big losers were business and law, together suffering a decline in applicants of nearly 13 per cent over the same period. Interestingly some of the main growth areas have been computing, engineering and science. The re-emergence of computing as a popular choice for students – applications have grown by over 50 per cent in five years – is remarkable, given that for much of the past decade students (and their parents, teachers and guidance counsellors) were concluding that this was an industry in decline and to be avoided. But the emergence of some key companies as economic powerhouses – Apple and Google spring to mind – changed all that. What does all of this tell us? Mainly that today’s news about economic and industrial developments determines a good many student choices. However the rationale behind these choices is pretty questionable. By the time these students enter the labour market the developments that caused the economic trends have long passed, and some other events will create different effects. Students who entered universities to study civil engineering in 2006 when construction was booming entered the labour market four years or so later when it had imploded. People who wouldn’t touch computing in the same year because they were convinced that the dot.com collapse earlier in the decade had destroyed the industry will have noticed that when they were ready for their first jobs the IT sector was one of the few to be growing aggressively. We also know from British studies that students are looking more closely at the economic career benefits of particular disciplines before choosing their courses. That of course is a doubtful practice if those benefits cannot be securely predicted over a period of time, or if such predictions are based on palpably wrong assumptions. So how should such choices be made? There is no perfect answer, but one that is as good as any other is to choose according to talent and interest. If you feel passionate or engaged or stimulated about something, then that’s very likely a good subject to study. But don’t assume that today’s newspaper headlines are of any relevance to the success of a particular career to be begun four or five years from now. They aren’t. I should start this post by declaring that I have never been a smoker. When in my youth all around me were smoking, I somehow avoided it. I tried it of course, it just didn’t do anything for me. It is increasingly hard to remind ourselves how all-pervasive smoking once was. In my late teens in the cinema I could hardly ever see the screen, the smoke was so overpowering. In my local butcher’s shop in provincial Ireland the meat was routinely carved and arranged by the butcher with a cigarette hanging from his mouth and, occasionally, ash falling on the food. More alarmingly, the local petrol pump attendant filled up your tank while puffing on a Rothmans King Size. When I started my academic career, smoking was also all around me. Lecturers regularly smoked in their offices, and with their office doors open the smoke would blow down the corridors. So when I first became a Head of Department, I was presented with a problem. A student came to me to complain about one of my colleagues who insisted on smoking during tutorials. The student suffered from asthma, and when she complained, the lecturer suggested she sit by the window, which he then opened. In January. He continued smoking. It was not an easy situation to resolve. Some 25 years later it is all very different, and some universities have now banned smoking from their campuses altogether, indoors and outdoors. Last month, one American pressure group declared that in the United States 1,159 campuses now permit no smoking at all. In the US and elsewhere, those universities that do still allow smoking tend to restrict it to areas well away from buildings and regular pathways (see the smoking policy of Warwick University, or that of Exeter University, or that of Glasgow University). In my own university our smoking policy has recently come up for consideration, with the question being asked in particular whether we should also ban it outright. In considering this, I have wondered whether we would do so as a way of protecting non-smokers and the general public, and perhaps of bringing to an end the unpleasant littering of certain areas with cigarette butts; or whether we would be seeking to persuade, maybe even compel, smokers to desist from the habit for the good of their own health. Of course smoking is not quite the same as other forms of potential self-harm such as over-eating. Bystanders are affected by smokers, with potential risks to their health. But then again, that may be true, if in different ways, of other bad habits such as alcohol abuse: should drinking also be banned? Is there an appropriate dimension in this issue for liberal, or maybe libertarian, principles? This non-smoker would be quite happy if the practice died out completely. But even so, I am not wholly sure that while cigarettes and tobacco are legal that it is our mission to stop people from using them. In short, I am not sure what the correct approach should be. On a recent visit to Ireland, I had a conversation with four academics from three different universities, and I asked them about the code of good governance that applies in Irish higher education. All four gave me blank looks; none of them had ever heard of such a code. Yet, there is one, and you can find it here; it was adopted by the Higher Education Authority and the universities in 2007. As well as setting out the main regulatory provisions that apply to Irish universities, it also outlines some principles of good governance. Although I was President of Dublin City University when the code was adopted, to be honest I also had forgotten all about it until recently, when developments in my new jurisdiction in Scotland brought it back to mind. It is not actually wholly surprising that the Irish code is not on everyone’s mind, because it is, shall we say, a rather dry document that focuses on listing lots of regulatory stuff and cramming excessive amounts of information into its pages. Anyway, on to Scotland. As readers of this blog know, I chaired a Review of Higher Education Governance in Scotland, and the report we submitted in 2012 had as one of its recommendations that ‘the Scottish Funding Council should commission the drafting of a Code of Good Governance for higher education institutions’. Shortly afterwards the Chairs of Scottish universities offered to set up a group to draft a Scottish governance code, and the draft of this was published recently. So does this code meet the expectations of our governance review, and should it therefore be adopted? Some of the early comments have been critical, in part because some of the recommendations of our Review have not been addressed in it. However, it also has to be said that a code of good governance is not legislation, and a significant number of the Review’s recommendation will require a statute to implement them (which I believe will be introduced by the Scottish Government in due course). So what is the code for? It cannot be a document that resolves all governance issues, or regulates all key aspects of higher education. Rather, it should serve as a statement of best practice that prompts governors and those with whom they work (including university heads) to ensure that what they do observes integrity, transparency, legitimacy and openness. Furthermore, it should be written and presented in a style that is accessible and will therefore be understood and widely known. On those criteria I believe the draft code comes across well. It sets out the main principles of governance, and then gives further explanations, supported by illustrations of good practice from across the sector. It therefore scores well in terms of accessibility. In content it aims to implement a number of the recommendations of our Review, leaving out others that will require legislation. There are no doubt some passages that can be amended or improved in the light of comments that are now being invited. On the whole, however, I am satisfied that this is a document that will serve the interests of good governance and will support the Scottish system of higher education. If adopted it will require most universities to make some changes in practice that will serve the interests of openness and transparency. And it is likely to be much more visible in the system than is the HEA’s code in Ireland. While I’m writing this lives are still at stake in the Rana Plaza in Dhaka, the collapsed building which housed one of the many garments factories providing Western customers with low cost clothes. Three hundred workers are believed to have died and six hundred are still missing, with very little chance of being pulled out alive. As often is the case after such tragedies a debate is now raging in the media touching upon the familiar issues of globalization and global capital, with some very powerful ethical overtones. David Blair in the Daily Telegraph has convincingly argued that ‘all of us are linked to this tragedy in some way’, retailers and consumers alike; moreover we, as consumers, should use our purchasing power to force retailers to sign up to local tougher workplace safety agreements. ‘Bangladesh may or may not need tougher workplace safety rules, but it’s entirely appropriate for Bangladesh to have different—and, indeed, lower—workplace safety standards than the United States. … Bangladesh is a lot poorer than the United States, and there are very good reasons for Bangladeshi people to make different choices in this regard than Americans… Safety rules that are appropriate for the United States would be unnecessarily immiserating in much poorer Bangladesh. Rules that are appropriate in Bangladesh would be far too flimsy for the richer and more risk-averse United States. Split the difference and you’ll get rules that are appropriate for nobody. The current system of letting different countries have different rules is working fine. 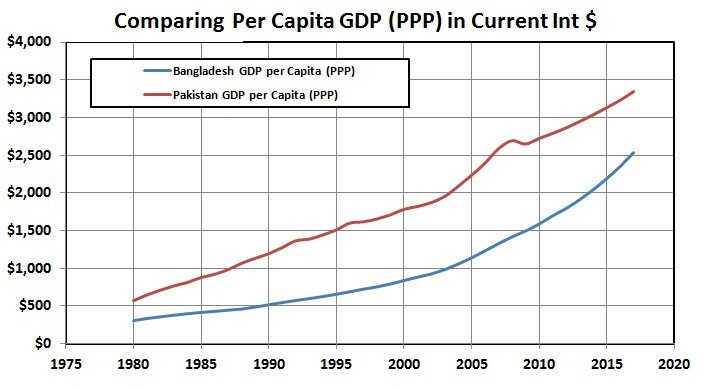 American jobs have gotten much safer over the past 20 years, and Bangladesh has gotten a lot richer’. So here are some moral questions for us all to ponder: is poverty a good reason to justify the lowering of safety standards in particular parts of the world? Can workers in poor countries exercise any free choice as implied by Yglesias in his Slate piece above? Retailers like Primark and Bonmarché have a strikingly successful business model, in that by outsourcing production to developing countries they can sell clothes so cheaply that Western consumers regard them as disposable items. What are the consequences of such a business model not only in the clothing industry, but in the food industry and, of particular interests to readers of this blog, in (higher) education?